A heritage-inspired knit top from Autumn 2017, the Cypre Pointelle Frill Top comes in a demure almond hue. 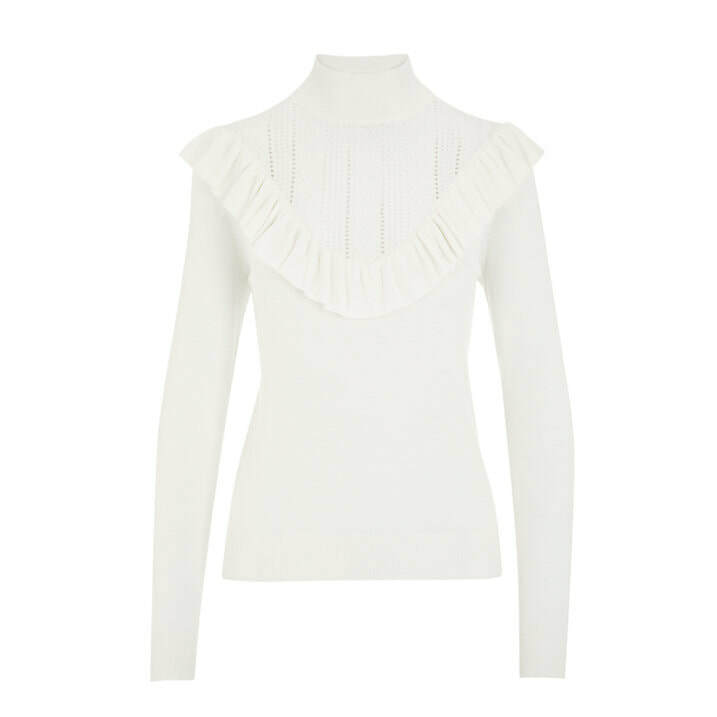 With a ruffled mock neck, flared cuffs and slim fit, this frilled, subtly bohemian top blends seamlessly with the collection's skirts and trousers. 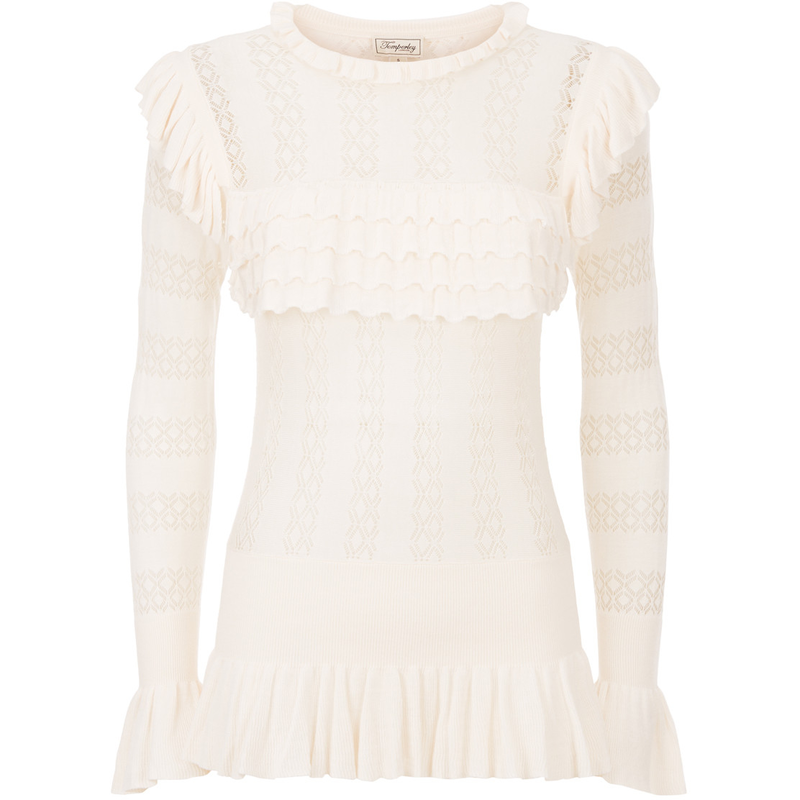 STYLE FILE: Temperley London Cypre Almond Pointelle Frill Top as seen on Kate Middleton, Duchess of Cambridge.